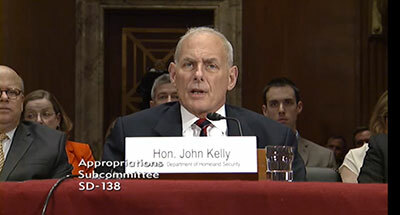 Secretary of Homeland Security John Kelly was granted authority by Congress to temporarily expand the H-2B program, providing additional temporary visas for nonagricultural workers. On July 18, the Department of Homeland Security (DHS) and the Department of Labor submitted a final rule to the Federal Register that will allow the hiring of up to 15,000 additional temporary nonagricultural workers under the H-2B program, according to a press release from the U.S. Citizenship and Immigration Services (USCIS) Office of Communications. The program is designed for businesses “in danger of suffering irreparable harm due to a lack of available temporary non agricultural workers.” To qualify for additional visas, petitioners must attest, under penalty of perjury, that their business is likely to suffer irreparable harm if it cannot employ H-2B nonimmigrant workers during fiscal year 2017. After consulting with Secretary of Labor Alexander Acosta, Secretary of Homeland Security John Kelly determined there are not enough qualified and willing U.S. workers available to perform temporary nonagricultural labor to satisfy the needs of some American businesses during this fiscal year. The H-2B program has an annual cap of 66,000 temporary worker visas. Only 33,000 H-2B visas are available during the first half of the fiscal year. The remainder, and any unused H-2B visas from the first half, is available starting April 1 through Sept. 30. In March, the USCIS had already recieved H-2B program requests for 66,000 workers. In response, Congress delegated authority to Kelly, DHS secretary, to increase the number of temporary nonagricultural work visas through Sept. 30. Starting this week, eligible petitioners for H-2B visas can file Form I-129, Petition for a Nonimmigrant Worker and must submit a supplemental attestation on Form ETA 9142-B-CAA with their petition. A new tip line to report general H-2B abuse and employer violations also has been established. A page at uscis.gov will publish the final rule when it’s ready for public inspection.